It was inevitable, with the SEMA show opening day deadline creeping up the manufacturer’s necks things had to get moving. The latest things to be moving come within a preview picture of the Dodge stand’s offering. it seems that for SEMA 2010, the Chrysler owned brand will be showing off a 2011 Dodge Challenger that features an extra name on the back: Redline. The 2011 Dodge Redline Challenger features an interesting list of changes as opposed to the regular version. For starters the 5.7 liter HEMI V8 is now loaded with a raft of Mopar additions ranging from the headers and cold-air intake all the way to the exhaust system. Weirdly, while Dodge did say that amounts to quite a power and torque gain they did not mention any actual figures. The looks department has more changes such as a special set of 22 inch alloy wheels and something special. Are you ready for this? 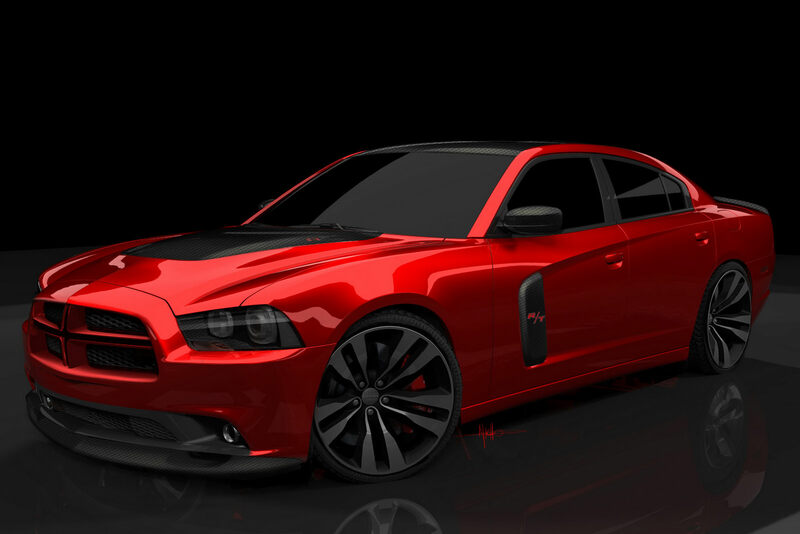 The 2011 Dodge Redline Charger has a new body that’s made almost entirely out of carbon fiber. Apparently, the Redline customization job continues on the interior of the SEMA ready 2011 Dodge Charger. That’s where you’ll be able to find Radar Red Nappa leather on the seats, aluminum on the dashboard and a special SRT steering wheel.